Lisa-Laura Verhoest of Climpson and Sons will be flying out to Brazil next month to represent the UK at the World Brewers Cup. Since winning the Beyond the Bean Barista Bursary back in January Lisa-Laura flew through the first heat at London coffee Festival and went on to be crowned UK Champion at the Glasgow Coffee festival in May. The next stop for Lisa-Laura will be Brazil in November where she will be hoping to come away with the world champion title. Over the course of the competition Beyond the Bean have supported Lisa-Laura with over £6,000 to cover the costs that come with competing as well as kit from the extensive BTB gear range and training sessions with an expert of her choice. It’s this funding that makes the BTB Barista Bursary such great opportunity for the lucky winner. The financial and developmental support is intended to ease some of the more laborious pressures of the competition – freeing baristas up to concentrate on the important part, the coffee. Beyond the Bean are long-time supporters of barista championships, with over 20 years’ experience in the industry they know the costs competing in a championship can bring. These costs can often mean talented baristas are in danger of being excluded which is why the BTB Barista Bursary was created. The aim each year is to find the best budding barista talent out there who will benefit most from the support. 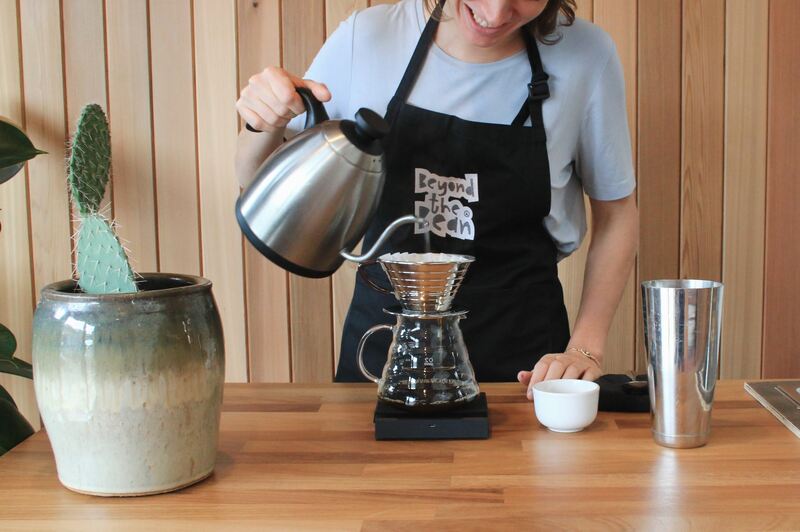 Following on from the success of this year, Beyond the Bean are proud to be offering their Barista Bursary again for 2019. The rules changed in a big way for 2018 and the competition was opened up to applicants from anywhere in Europe competing in any of the six SCA sanctioned World Coffee events. These same rules will apply for next year covering The Barista Championship, Brewers Cup, Coffee in Good Spirits, Latte Art, Cup Tasters and the Coffee Roasting Championship.